2 Doubles Passes to Win! 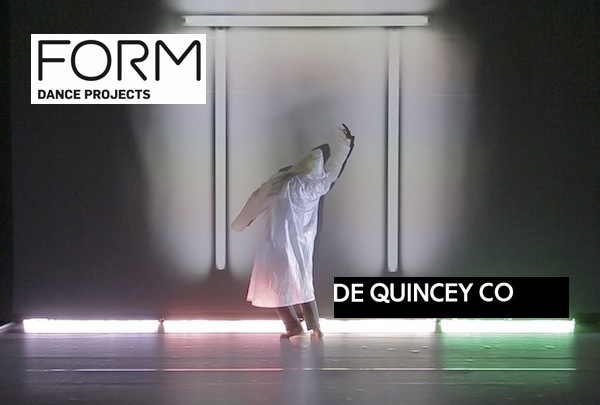 FORM Dance Projects and Riverside Theatres will present Metadata, an immersive work from the acclaimed dance performance company, De Quincey Co in September. 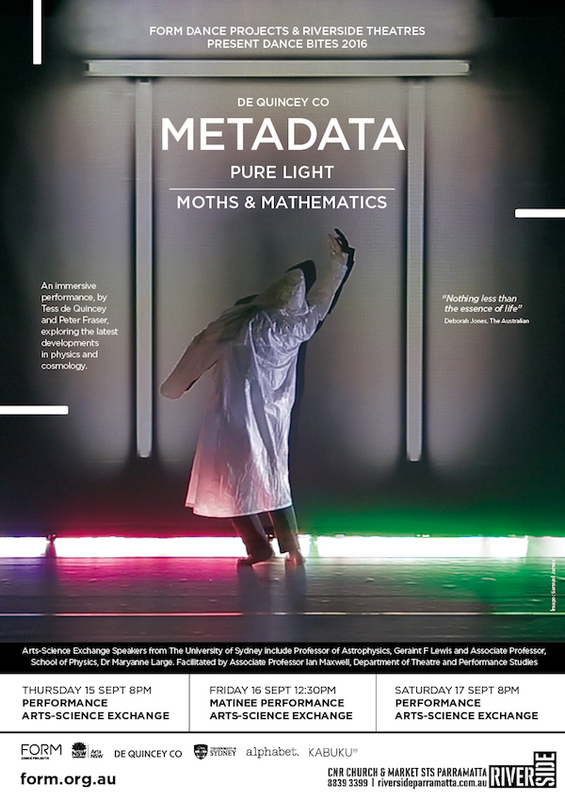 Metadata includes two works, Pure Light and Moths & Mathematics, created by leading Australian dance, video, sound & animation artists. The two works probe the latest developments in physics and cosmology, with the artists exploring a world of colour, sound, particles and impermanence. Metadata will see audiences delve into an intimate yet epic world where the intangible materialises. For over 15 years, De Quincey Co has been producing cross‐disciplinary works of exceptional quality that push the boundaries of dance. Their works are consistently well reviewed including the most recent, Moondance, which received four and a half stars from the Sydney Morning Herald. Following each Metadata performance, audiences will be invited to be part in an Arts-Science Exchange where the artists and selected guest scientists discuss some of the latest scientific developments in the context of the performance. on Thursday 15th September @ 8pm @ Riverside Theatre, Parramatta. To enter please send in your name & contact phone number to win@dancelife.com.au along with the subject header ‘metadata’.